Yamaha Motor Invests in New Zealand Agricultural Automation and Robotics Company - News Releases | Yamaha Motor Co., Ltd.
IWATA, November 14, 2018—Yamaha Motor Co., Ltd. (Tokyo:7272) announced today that it has made an additional eight million U.S. Dollar investment into Robotics Plus, a New Zealand agricultural automation solutions development company. In addition to the two-million-dollar investment made in December 2017, this brings Yamaha Motor’s total investment to ten million U.S. Dollars. Founded in 2008, Robotics Plus develops agricultural automation and robotics solutions in the agricultural field based on intelligent robotics, automation, and analysis technology. 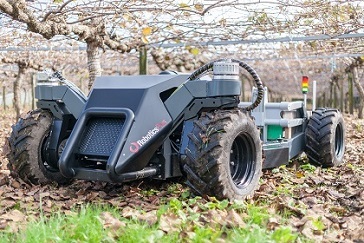 Its developments include a robotic apple packing system, general purpose UGVs (Unmanned Ground Vehicles) for smart orchard and horticultural applications, robotic kiwifruit harvester, robotic pollinator, crop estimator and a number of confidential projects. The investment in Robotics Plus is part of Yamaha Motor's "Solutions Business: Creating Distinctive Diversity,” which is one of the growth strategies in the company's current medium-term management plan. The collaboration and investment was made possible through the research conducted by Yamaha Motor’s corporate venture capital group, Yamaha Motor Ventures & Laboratory Silicon Valley (YMVSV), and aims to further Yamaha Motor’s business development in the agricultural technology field. This investment will accelerate joint development of automation technology in agricultural UGVs and agricultural work such as fruit harvesting, as well as business development in the agricultural technology field. 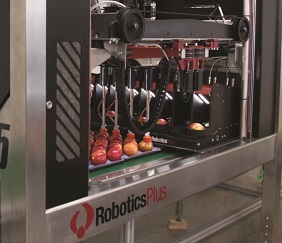 Company Name ： Robotics Plus Ltd.
Business Activities ： Development of automation and robotics technology including apple packers, agricultural UGVs, robotic kiwifruit harvester, robotic pollinator, crop estimator, and other agricultural technologies.